Photo: Taken from the Union Station Wikipedia entry. From afar the Gary Union Station would blend into the background. Its stylish concrete molded exterior has held up extremely well for a building that is now over 100 years old. It is a bit hard to believe from the outside that the building has been completely abandoned now since the 1950s. An burgeoning educated middle class after World War II could afford to own a vehicle and travel the American highway system. Passenger railways were unable to compete and Union Station closed its doors. 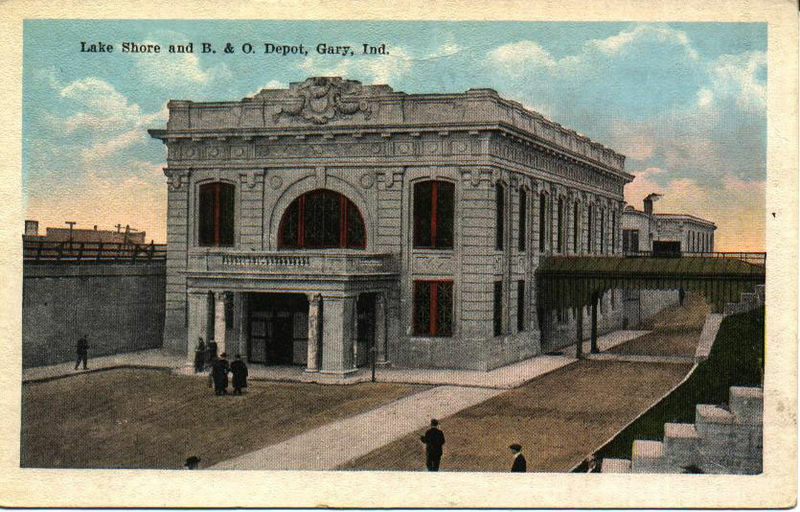 According to The Encyclopedia Americana the station cost Gary $250,000 to build in 1908. (That would be about $5.9 million today adjusting for inflation.) Funding came from the city’s namesake and US Steel Corporation founder Judge Elbert H. Gary. At the beginning of the 20th century Chicago and Detroit were major centers of commerce and railroads ran around the bottom of Lake Michigan right where Gary was geographically situated. Union Station was built to serve an area of 500,000 residents. Photo: A lone chair sits in the main hall. The interior of Union Station has not fared as well as the steel reinforced concrete façade. Although there are large boards blocking the main entrance, large gaps allow anyone off the street to wander in. It is hard to imagine what the interior may have looked like in its heyday. Large parts of the roof loom precariously overhead waiting to fall. The main hall is littered with soda bottles, old bibles, and other debris. The stairwell leading up to the second floor has a few loose steps. Fire damage lines the walls near the roof. The tunnel that goes underneath the railroad lines on the north side is completely barricaded. Photo: Graffiti in the freight building painted by epyon5. 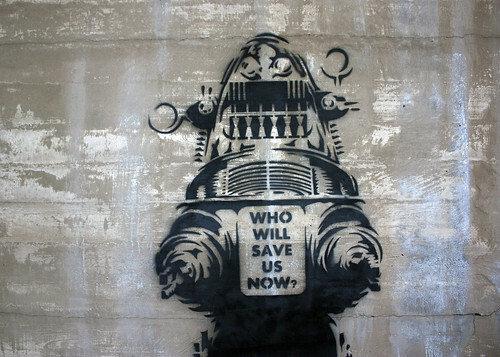 Who will save us now? There is a freight building separate from the station on the east side. While passenger trains would stop amenities would be reloaded. There is not much left of this building either. 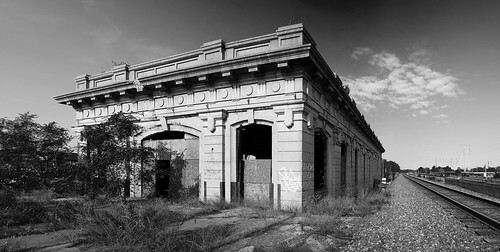 Gary Union Station is the perfect place for the beginning urban explorer. It is a well known location that is easily accessible. Should anything occur help is not too far away. Even for the seasoned urban explorer Union Station is a must stop. 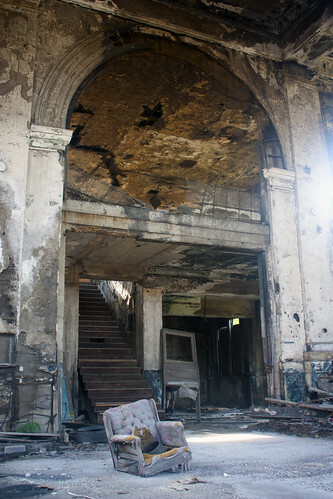 The building played an influential roll in Gary’s early prosperity. It also is a silent testament to the history of American industry. The photo with the chair in that entrance hall is fantastical !